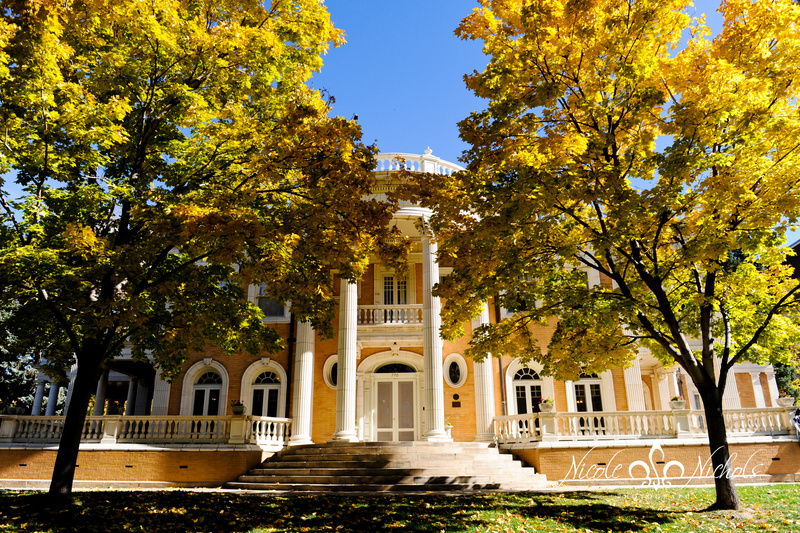 Many Denver residents are familiar with the historic Grant-Humphreys Mansion at 770 Pennsylvania Street. Colorado’s third governor, James B. Grant, ordered his mansion built in 1902, and Grant’s widow sold it to Albert Edmund Humphreys Sr. in 1917. But most Denver residents aren’t aware of the mansion’s connection to Denver aviation history. The Humphreys mansion as photographed from one of the Curtiss-Humphreys Airplane Company planes. In the foreground is Pennsylvania Street and on the right is Seventh Avenue. Denver Municipal Facts, Denver Public Library. Albert E. Humphreys Sr. and his wife had two sons, Albert E. Jr. and Ira Boyd “I. B.” Humphreys. As pilots and pioneers of the aviation industry, both men were among the original ten inductees into the Colorado Aviation Hall of Fame. Ira (1890–1976) lived in the mansion from the purchase date in 1917 until his death. Albert E. Jr. (1893–1968) lived there in parts of 1917 to 1919. The brothers participated in more than one Denver aviation first. In 1919 they opened Denver’s first commercial airport at 26th Avenue and Oneida Street. The company offered on-demand passenger service and sightseeing flights. The brothers had taken pilot training at the Curtiss Aviation School in Miami, and both soloed there in JN-4 (Jenny) biplanes in early 1918. Orville and Wilbur Wright’s first powered flights had occurred in 1903, just fifteen years earlier. Ira continued in the aviation business and had another Denver aviation first by forming the Curtiss-Humphreys Airplane Company, Denver’s first commercial dealership for airplanes. He demonstrated and sold the Curtiss Oriole, a three-seat biplane. In another Denver first, the company engaged in the business of commercial “aeroplane” (i.e., aerial) photography in 1921. A pilot and photographer flew over a home, property, or ranch and photographed it from the air. 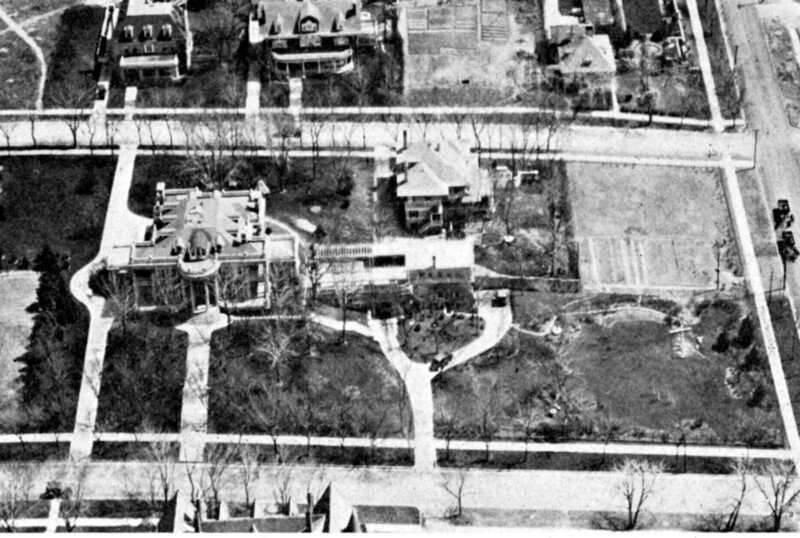 One of the early aerial photographs taken was of the Humphreys family mansion. In addition, Ira invented irrigation and mining devices, which led to his induction into the National Mining Hall of Fame. His will transferred ownership of this prominent family’s mansion to the Colorado Historical Society, today’s History Colorado. Albert E. Jr. earned the Navy Cross as an aviator on the Belgian front in the last three months of World War I, which ended on November 11, 1918. He returned home to marry Ruth Boettcher on May 3, 1919. He and his wife were members of the Sacred Thirty-Six, an elite group of Denver socialites. Ruth was the daughter of Charles Boettcher—one of the founders of the Great Western Sugar Company and the Ideal Cement Company—and the sister of Claude K. Boettcher, who was fifteen years her senior. In 1923 Claude bought the neighboring mansion to the Humphreys mansion that is today known as the Governor’s Residence at the Boettcher Mansion. Operating an airplane continuously through his whole life, Albert E. Jr. was one of the first men to use an aircraft for business. Aviator Louis Paulhan (wearing scarf) and the plane he flew on Feb. 1, 1910. 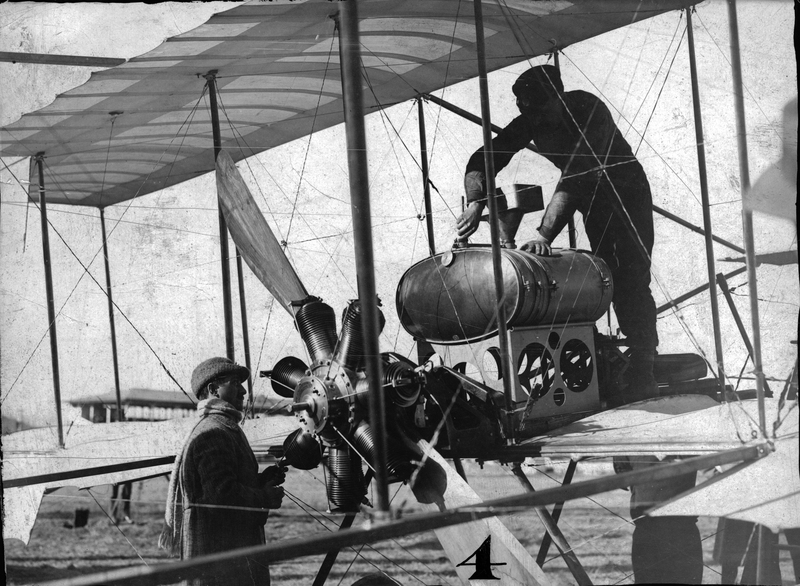 The first flight over the state of Colorado occurred on February 1, 1910, when French aviator Louis Paulhan gave an exhibition at Denver’s Overland Park racetrack. Fifty thousand people showed up the first day—about one-fourth the population of Denver at the time. The people wanted to see with their own eyes a “heavier-than-air” machine in order to believe it really could fly. Pilot Louis Paulhan making the first flight over Colorado in front of an enormous crowd on February 1, 1910. 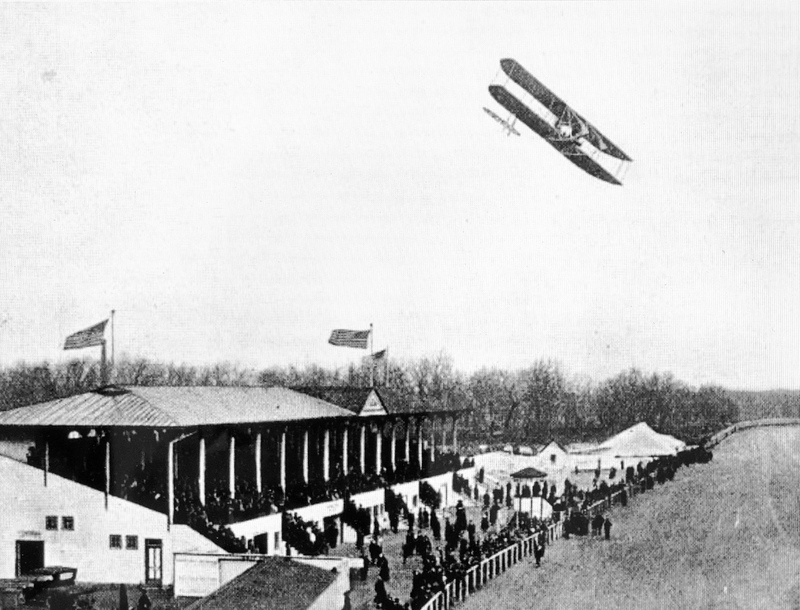 Aviator Walter Brookins doing stunts in front of the Overland Park grandstand at the November 1910 exhibition. Denver has another aviation first, but in this instance it is not an honor. Denver is where the first American pilot crashed to his death in his plane. It happened on November 17, 1910. The aviator, Ralph Johnstone, was participating with two others as part of a Wright-brothers-sponsored exhibition team at Overland Park. Johnstone put his plane into a spiral dip dive, and he never recovered. Learn more about planning your event at Grant-Humphreys here! “1910 Air Meets and Exhibition Flyers Prove Man Can Fly,” Antique Aircraft Association and Airpower Museum, http://www.antiqueairfield.com/features/1910_air_meet.html. “Albert E. Humphries [sic] Services Pop-Up,” Colorado Aviation Historical Society, http://www.coloradoaviationhistoricalsociety.org/bio_popup.asp?id=86. “Aviators at Denver Meet Demonstrate That Altitude Here Does Not Interfere With Successful Flights,” Denver Municipal Facts (DMF), Nov. 26, 1910, p. 10. “Humphreys, Ira Boyd,” Inductee database 1991, National Mining Hall of Fame, https://mininghalloffame.org/inductee/humphreys. “Ira Boyd Humphreys Services Pop-Up,” Colorado Aviation Historical Society, http://www.coloradoaviationhistoricalsociety.org/bio_popup.asp?id=85. “Landscaping a Home From the Air,” Denver Municipal Facts (DMF), April–May 1921, p. 14. Lips, Jesse, “Harry Combs: The Early Years,” National, March 1, 2001, http://airportjournals.com/harry-combs-the-early-years/. “M. Paulhan French Aviator, Making His Flight Before 50,000 People at Overland Park Denver,” Denver Municipal Facts (DMF), Feb. 5, 1910, p.8.